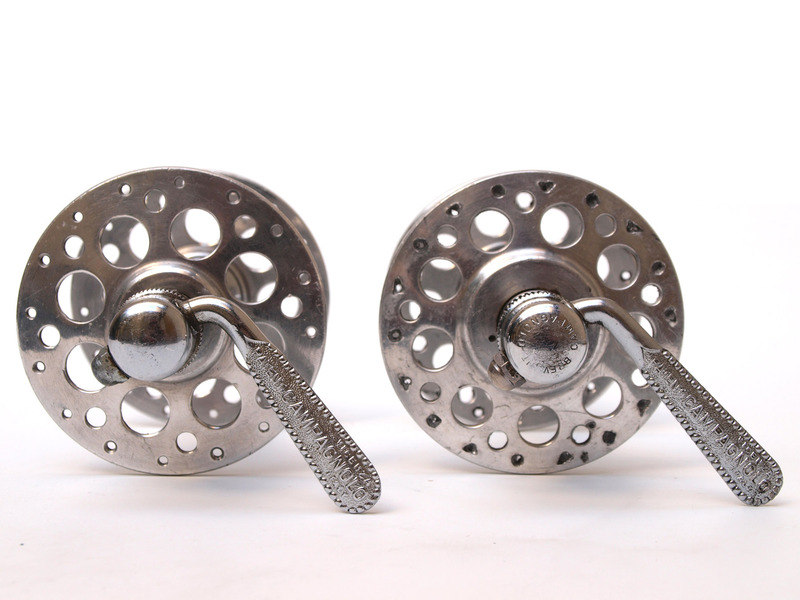 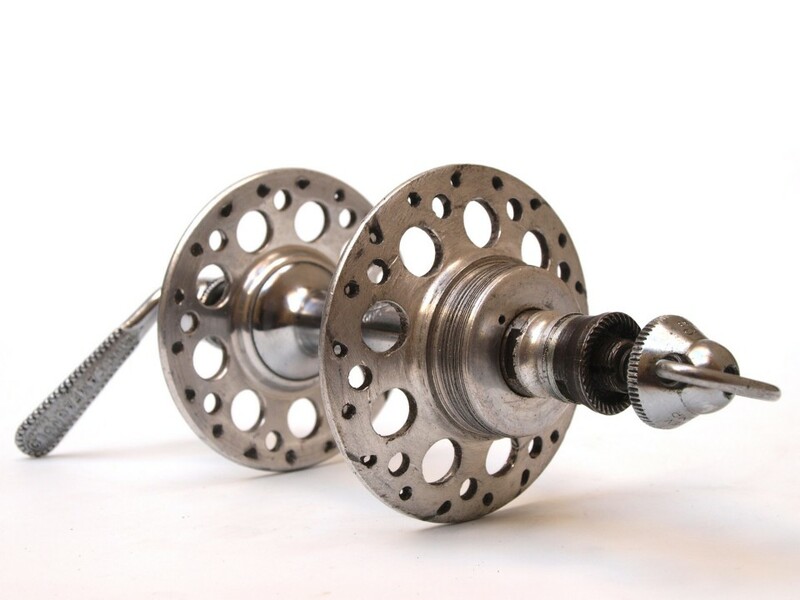 A pair of Campagnolo high flange hubs with 36 wholes. 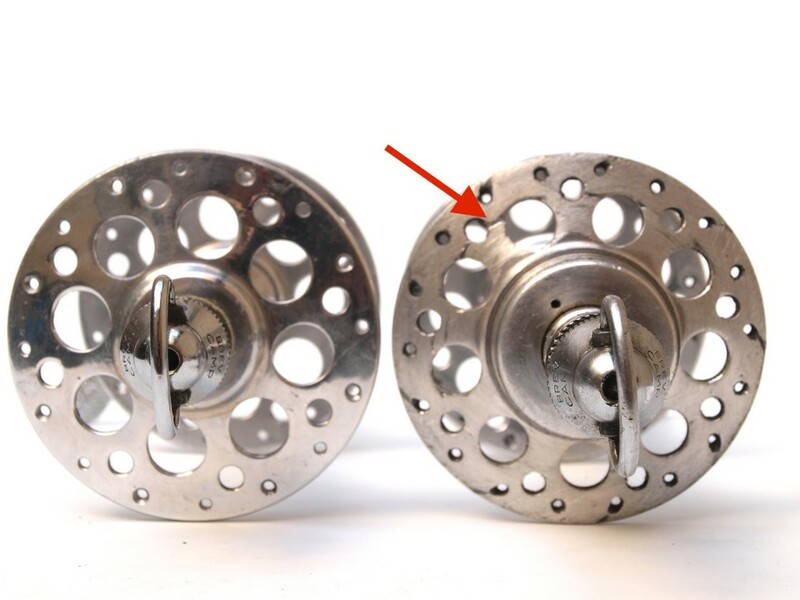 The hub set could be used for a show bike. 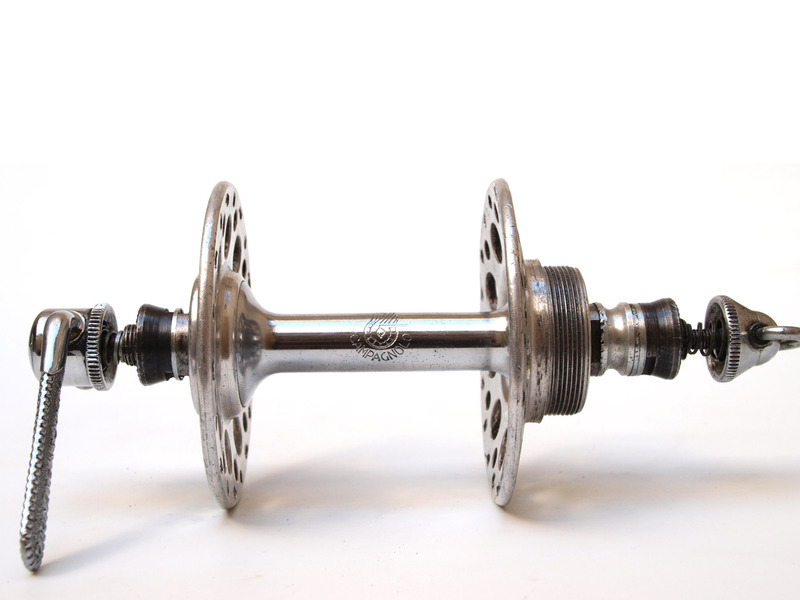 The front hub is in very good condition. 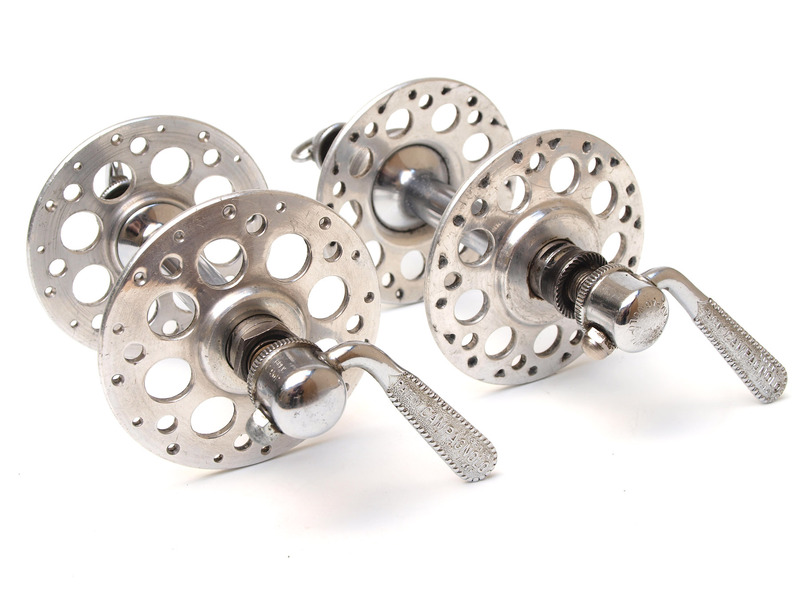 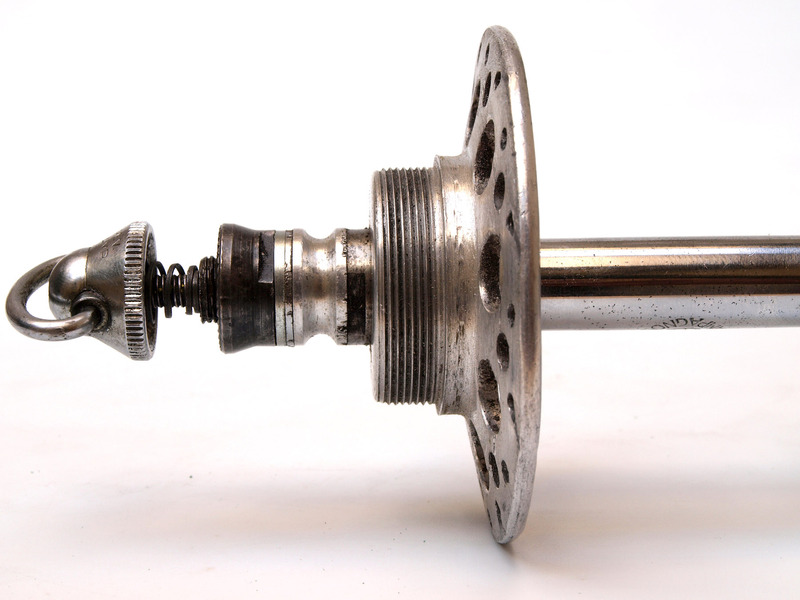 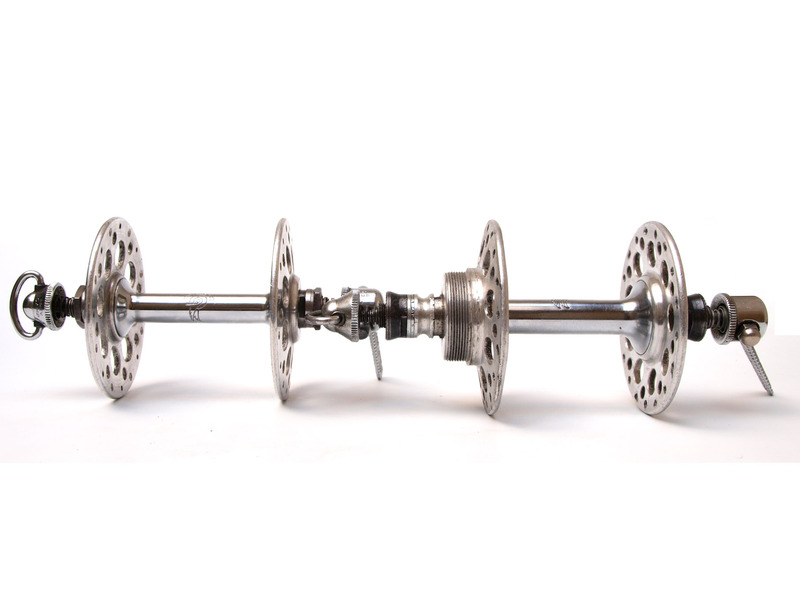 The back hub has weak aluminium flasks. 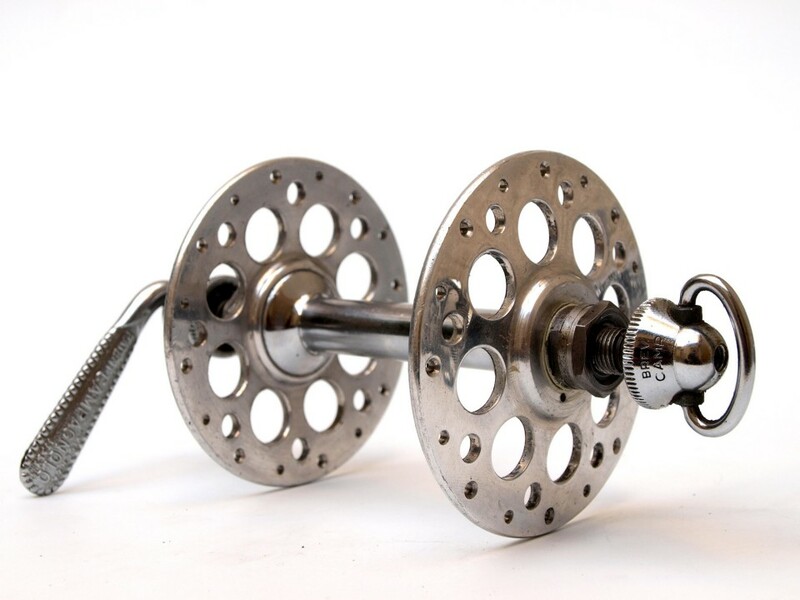 Risk that something gets brocken.